Multiple Jog Motions can be stored in a single Custom Command. When they are combined in a single Custom Command, then CNC Processor runs them all at the same time. Screen 1: Three Jog Motions in a Custom Command - All three run at the same time. 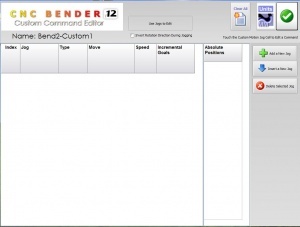 The existence of a Jog Motion in the CNC Bender user interface is completely configurable. 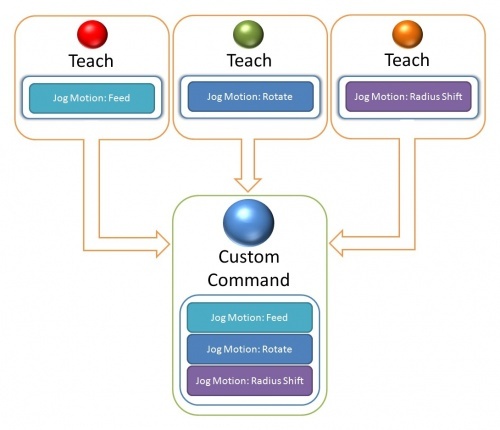 You can add or edit your own Jog Motion or remove the existing Jog Motions from the user interface using a single configuration file. You can even rename the Jog Motion name (or translate the motion to another language). 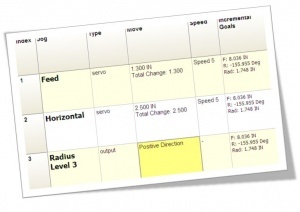 This page was last modified on 21 January 2010, at 16:19.